Delhi MTV Roadies X Audition Online Delhi Selected Candidates Contestants MTV Roadies-X Delhi Audition Judges Anchor Host Moderators Venue Place Location Delhi Roadies-X 2013 Audition Date Time Online Contestants Participants MTV Roadies X Delhi Selected Roadies Delhi Candidates selected MTV Roadies-X Audition Delhi Online Video Hero Honda MTV Roadies-X Selected Candidates Delhi Audition names, Watch uncut episode of 2013 Roadies X Delhi Audition online live. Thousands of aspiring Roadies came with the hope of getting selected in 2013 Roadies X Audition at Delhi; but only five candidates got selected as Roadies from 2013 Roadies X Delhi Audition. Roadies X (Battle for Glory) 2013 Season is different from the other roadies. The format of Roadies X already discussed with you earlier and we all know there will be two teams in 2013 Roadies X Season. To select members for Rannvijay team; the auditions actually took place. MTV VJ & ex-Roadie Bani hosted the Roadies X Delhi Audition 2013 Show and we have seen a special guest Boxer Vijendra Singh. Before Delhi Audition date, Rannvijay went to 98.3 FM Radio office and welcomed all to attend the Roadies-X Delhi Audition that took place at ‘Delhi International Explore Centre, Sector-62, Noida’. • MTV Roadies-X Delhi Audition Telecast Date: - 9th February & 16th February 2013 (Saturday). • Delhi Audition MTV Roadies-X Telecast Timings: - MTV Roadies-X Reality Show starts at 7pm in the evening on every Saturdays. • MTV Roadies-X Delhi Audition Judges: - Raghu and Rannvijay. • MTV Roadies X Delhi Audition Anchor Host: - VJ Bani, who is also an ex-Roadie & a successful model & MTV VJ. • 2013 Hero Honda MTV Roadies X Delhi Audition Group Discussion Round Moderators: - Ankur, Sid, Harman, Gaiti, Umashankar, Gaurav, Susan, Filmy Zoro, Romance Rambo and many other crew members of MTV Roadies-X does the tough job of selection in Group Discussion round. Ravi (aka Harry) – Ravi claims that he is an Arm wrestler won gold medals; but failed to beat Rannvijay in PI Room. A student of Travel Tourism failed to impress judges. Rishi – 22 years old Rishi works in a Call Centre failed to impress judges. Manik – 19 years old Manik loves partying with his friends also failed to impress judges. Aasna – Aasna wants to live her life in her own way. Her mother is a professor and wants her to do medical course. But, her father wants her to make career in Army. Filmy typed Aasna said ‘Hi’ to Rajeev, who wasn't there in the PI Room. • Selected Candidates MTV Roadies-X Delhi Audition: - Ramandeep, Vikas Kumar, Sonal Sharma, Swati Goswami, Harry are the lucky candidates (contestants), who got selected for MTV Roadies-X Reality Show from Delhi Audition, amongst thousands of competitor of Roadies-X 2013 Delhi Audition and ready to give tough competition in MTV Roadies-X in 2013. Congratulations to Ramandeep, Vikas Kumar, Sonal Sharma, Swati Goswami & Harry for becoming the Roadies from Delhi in MTV Roadies-X (Battle for Glory) season in 2013. Profile Biodata Biography Abhimanyu Gupta MTV Roadies-X Contestant Battleground 5 Winner Roadies-X 2013 Candidate Abhimanyu Gupta professional educational life MTV Roadies-X Candidate Abhimanyu Gupta Roadies Family (Father, Mother, Brother, Sister, girlfriend), MTV Roadies-X Battleground 5 Winner Abhimanyu Gupta Qualification Occupation MTV Roadies-X Battleground 5 Winner Abhimanyu Gupta details mobile phone contact number address strengths weakness Abhimanyu Gupta Roadies-X 2013 Contestant from Battleground 5 Winner MTV Roadies-X Roadie Abhimanyu Gupta. Abhimanyu Gupta, Battleground 5 Winner, is a tough guy from Chandigarh. Abhimanyu Gupta has done the tasks in Battleground-5 and won it to enter Roadies-X. • Name of Roadies-X Battleground 5 Winner Candidate: - Abhimanyu Gupta. • Address of Abhimanyu Gupta Roadies-X Contestant: - Abhimanyu Gupta lives in Chandigarh. • Educational Qualification of Abhimanyu Gupta Roadies-X Contestant: - Abhimanyu Gupta is a student of B.Tech (Electronics & Communications Engineering) at Kurushetra University, Chandigarh. • Mobile Phone Contact Number of Abhimanyu Gupta Roadies-X Candidate: - not published due to security reasons. • Family Background of Roadies-X Abhimanyu Gupta: - MTV Roadies-X Battleground 5 Winner Candidate Abhimanyu Gupta is living with his parents & siblings. • Marital Status of Abhimanyu Gupta Roadies-X Contestant: - Single. • Abhimanyu Gupta MTV Roadies X Video Watch Online: - Watch the Battleground 5 Final won by Abhimanyu Gupta, who have been selected as a Roadie from Battleground 5 Winner. • Details of Abhimanyu Gupta MTV Roadies-X Battleground 5 Winner Interview: - Tough guy Abhimanyu Gupta, 5'7" of height, has a cute face & sweet by nature attitude but strong will power to achieve his goal. 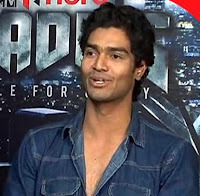 Roadies Battleground 5 Winner Abhimanyu Gupta joined Rannvijay's team directly in Roadies-X (2013). In the Roadies Battleground 5, Abhimanyu Gupta was in the 'Team of Heroes' team. Roadies X contestant Abhimanyu Gupta (Roadies Battleground 5 winner) good wishes for you & hope you would win Roadies X Reality Show. Abhimanyu has the experience of doing tasks in Battleground that makes him a strong Roadies X Contestant, who got selected from Battleground 5 in the 2013 Battle for Glory Roadies-X Season. Profile Biodata Biography Sonal Sharma MTV Roadies-X Contestant Candidate Delhi Audition Roadies-X 2013 Selected Candidate Sonal Sharma perSonal Sharma professional educational life MTV Roadies-X Contestant Candidate Participant Sonal Sharma Roadies Family (Father, Mother, Brother, Sister, Boyfriend), MTV Roadies-X Delhi Audition Selected Candidate Sonal Sharma Qualification Passion Occupation Achievements, MTV Roadies-X Delhi Audition Sonal Sharma details mobile phone contact number address strengths weakness Sonal Sharma Roadies-X 2013 Contestant Candidate from Delhi Audition MTV Roadies-X Roadie Sonal Sharma. 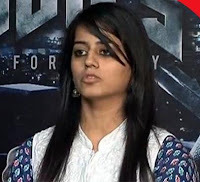 Sonal Sharma, one of the five Roadies selected from Delhi Audition of MTV Roadies-X, is a strong defensive girl. Sonal Sharma has impressed Roadies X Judges & got selected amongst the other Delhi Contestants during Roadies-X Audition (2013). • Name of Roadies-X Delhi Candidate: - Sonal Sharma. • Address of Sonal Sharma Roadies-X Contestant: - Sonal Sharma came to Delhi to complete his studies after Class-12th. • Educational Qualification of Sonal Sharma Roadies-X Contestant: - Sonal Sharma has done B.Tech in Electronics & Communications Engineering. • Mobile Phone Contact Number of Sonal Sharma Roadies-X Candidate: - not published due to security reasons. • Family Background of Roadies-X Sonal Sharma: - MTV Roadies-X Delhi Candidate Sonal Sharma is living with two younger siblings. Her mother expired of Heart Attack on 10th September and within next 24-days her father expired. • Occupation / Professional Life of Sonal Sharma MTV Roadies: - Sonal Sharma just joined a Job after completion of her B.Tech. • Marital Status of Sonal Sharma Roadies-X Contestant: - Single [had a boy friend in past]. • Favorites Hobbies of Sonal Sharma Roadies-X Participant: - Roadie Sonal Sharma loves dancing & pre-dancing exercises. • Sonal Sharma MTV Roadies X Audition Video Watch Online: - Watch the Delhi Audition of Sonal Sharma, who have been selected as a Roadie from Delhi 2013 Roadies X Audition. • Details of Sonal Sharma MTV Roadies-X Delhi Audition Interview: - Sonal Sharma entered in the PI Audition room without any strategy. Electronics & Communications Engineer Sonal Sharma, who is 21 years old, is doing a job and is the only earning member of her family. She has lost her parents and right now she is taking care of her younger brother & sister. Thus, she doesn't want to be in any kind of relationships for at least 3 years. Raghu & Rannvijay called her 'Numb' to see how she reacts. Sonal admitted that she came to win Roadies because of Money; but without any sympathy. When judges asked her to entertain; she shows pre-dancing exercises like stretching, neck exercise etc. Then she did Arm-Wrestling with Rannvijay. Raghu said she can manipulate boys in Roadies. 'You are not a Numb, you are just controlling' said Rannvijay to Sonal. Then she emotionally broke down and expressed her feelings that how she missed her parents. Raghu & Rannvijay finally selected Sonal Sharma, who might be crying inside but has a strong will. Roadies X contestant Sonal Sharma good wishes for you & hope you would win Roadies X Reality Show with your strong mental strength & cute face that makes you a strong Roadies X Contestant, who got selected from Delhi in the 2013 Battle for Glory Roadies-X Season. Profile Biodata Biography Harry MTV Roadies-X Contestant Candidate Delhi Audition Roadies-X 2013 Selected Candidate Harry personal professional educational life MTV Roadies-X Contestant Candidate Participant Harry Roadies Family (Father, Mother, Brother, Sister, Boyfriend), MTV Roadies-X Delhi Audition Selected Candidate Harry Qualification Passion Occupation Achievements, MTV Roadies-X Delhi Audition Harry details mobile phone contact number address strengths weakness Harry Roadies-X 2013 Contestant Candidate from Delhi Audition MTV Roadies-X Roadie Harry. Harry, one of the five Roadies selected from Delhi Audition of MTV Roadies-X, is a cool Punjabi guy having excellent musical talent. Harry has impressed Roadies X Judges & got selected amongst the other Delhi Contestants during Roadies-X Audition (2013). • Name of Roadies-X Delhi Candidate: - Harmeet (nick name Harry). • Address of Harry Roadies-X Contestant: - Harry came to Delhi to complete his studies after Class-12th. • Educational Qualification of Harry Roadies-X Contestant: - A student of Graduation. • Mobile Phone Contact Number of Harry Roadies-X Candidate: - not published due to security reasons. • Family Background of Roadies-X Harry: - MTV Roadies-X Delhi Candidate Harry is living with his father (businessman), mother and siblings. • Occupation / Professional Life of Harry MTV Roadies: - Harry is a student but wants to become a musician. • Marital Status of Harry Roadies-X Contestant: - Single. • Harry MTV Roadies X Audition Video Watch Online: - Watch the Delhi Audition of Harry, who have been selected as a Roadie from Delhi 2013 Roadies X Audition. • Details of Harry MTV Roadies-X Delhi Audition Interview: - Punjabi cool guy Harmeet (Harry) came with his guitar in the PI Audition room. Graduation student Harry loves playing guitar, singing song & dance. He wants to become a singing star. His businessman father wants him to do business & live life in the normal way; but Harry is looking forward to make career in musical field. After class-12th; he came to Delhi to complete his Graduation & to fulfil his dream of becoming musician. Harry said he wasn't crazy about roadies. But he came in Roadies because one of his cousins told him to use it as a platform. Then he determined 'Ab toh roadie ban ke jaoonga'. Raghu & Rannvijay asked him to play guitar and to sing a song. Instantly, Harry comes up with a self made song 'Camera My Dream of Life' and judges impressed. Then he asked to show his dancing skills and Harry danced on 'Toong toong' song. Since, he is a musician & wants to use roadies as a platform; thus judges started provoking him & started his physical fitness. After that Raghu asked him to punch him on stomach, Harry did. Roadies X contestant Harry good wishes for you & hope you would win Roadies X Reality Show with your cool & sweet attitudes that makes you a strong Roadies X Contestant, who got selected from Delhi in the 2013 Battle for Glory Roadies-X Season. Profile Biodata Biography Swati Goswami MTV Roadies-X Contestant Candidate Delhi Audition Roadies-X 2013 Selected Candidate Swati Goswami personal professional educational life MTV Roadies-X Contestant Candidate Participant Swati Goswami Roadies Family (Father, Mother, Brother, Sister, Boyfriend), MTV Roadies-X Delhi Audition Selected Candidate Swati Goswami Qualification Passion Occupation Achievements, MTV Roadies-X Delhi Audition Swati Goswami details mobile phone contact number address strengths weakness Swati Goswami Roadies-X 2013 Contestant Candidate from Delhi Audition MTV Roadies-X Roadie Swati Goswami. Swati Goswami, one of the five Roadies selected from Delhi Audition of MTV Roadies-X, is an athlet and professional wrestler. Swati Goswami has impressed Roadies X Judges & got selected amongst the other Delhi Contestants during Roadies-X Audition (2013). • Name of Roadies-X Delhi Candidate: - Swati Goswami. • Mobile Phone Contact Number of Swati Goswami Roadies-X Candidate: - not published due to security reasons. • Family Background of Roadies-X Swati Goswami: - MTV Roadies-X Delhi Candidate Swati Goswami is living with her father, mother and brother. • Occupation / Professional Life of Swati Goswami MTV Roadies: - Swati Goswami is an Athlete & professional wrestler. Along side, she is completing her studies. • Marital Status of Swati Goswami Roadies-X Contestant: - Single. • Swati Goswami MTV Roadies X Audition Video Watch Online: - Watch the Delhi Audition of Swati Goswami, who have been selected as a Roadie from Delhi 2013 Roadies X Audition. • Details of Swati Goswami MTV Roadies-X Delhi Audition Interview: - Swati Goswami finally reached the Personal Interview Round in front of Raghu & Rannvijay after four years' auditioning. In last two years (Roadies 8 & Roadies 9) she broke down & cried; that's shows her emotional part. But, this year Swati Goswami came up with her matured attitude. Athlete Swati Goswami is a professional wrestler. During the PI Round of Roadies-X Audition Swati told the incident for which she received Presidential Bravery Award for an act of Bravery & Kindness. Raghu & Rannvijay gave her a Roadie Salute as well. Athlete & Wrester Swati attends gym regularly and used to do hurdle race often to keep her fit. Swati has won Gold Medals in Women Festival recently. Raghu & Rannvijay asked to show few Wrestling stunts and she shows with a crew member. Then Rannvijay asked her to do Push-up and she did 25 push-ups While judges asked her about boy-friend; she said none comes with proposal; everyone starts calling her 'sister'. Judges of Roadies, Raghu & Rannvijay finally selected her. Roadies X contestant Swati Goswami good wishes for you & hope you would win Roadies X Reality Show with your strong mental & physical strength accompanied by athlete fitness that makes you a strong Roadies X Contestant, who got selected from Delhi in the 2013 Battle for Glory Roadies-X Season. Profile Biodata Biography Vikas MTV Roadies-X Contestant Candidate Delhi Audition Roadies-X 2013 Selected Candidate Vikas personal professional educational life MTV Roadies-X Contestant Candidate Participant Vikas Roadies Family (Father, Mother, Brother, Sister, Boyfriend), MTV Roadies-X Delhi Audition Selected Candidate Vikas Qualification Passion Occupation Achievements, MTV Roadies-X Delhi Audition Vikas details mobile phone contact number address strengths weakness Vikas Roadies-X 2013 Contestant Candidate from Delhi Audition MTV Roadies-X Roadie Vikas. Vikas Kumar, one of the five Roadies selected from Delhi Audition of MTV Roadies-X, is a Chef. Vikas has impressed Roadies X Judges & got selected amongst the other Delhi Contestants during Roadies-X Audition (2013). • Name of Roadies-X Delhi Candidate: - Vikas Kumar. • Address of Vikas Roadies-X Contestant: - Vikas is from Bhopal. • Mobile Phone Contact Number of Vikas Roadies-X Candidate: - not published due to security reasons. • Family Background of Roadies-X Vikas: - MTV Roadies-X Delhi Candidate Vikas is living with his parents. The mother name of Vikas in Minakshi and his father is also a Chef. • Educational Qualification of Vikas Roadies-X Contestant: - Vikas has completed Hotel Management course and now doing MBA. • Occupation / Professional Life of Vikas MTV Roadies: - Vikas is a Chef. • Marital Status of Vikas Roadies-X Contestant: - Single. He had a crash on Kanika during his school days. • Vikas MTV Roadies X Audition Video Watch Online: - Watch the Delhi Audition of Vikas, who have been selected as a Roadie from Delhi 2013 Roadies X Audition. • Details of Vikas MTV Roadies-X Delhi Audition Interview: - Vikas Kumar finally reached Personal Interview Round after five years auditioning in Roadies. At the early time, he used to go to hotels with his father, who is a chef by profession Since then (class-6th standard) he wanted to be a chef and now after completing his Hotel Management course became a Chef. He got training during hotel management course at Bhopal & other cities. Right now, he is doing MBA. Vikas wants to start his own Hotel in the name of his mother 'Meenaxi'. When Raghu asked him about 'Kanika' then he admits that he had a crash with Kanika during his school days. Vikas doesn't go to Gym often but he claims he is fit enough and said 'khali dum nahi hona chahiye, Dimag bhi hona chahiye'. Raghu & Rannvijay then asked to do him tasks like 'one leg up-down', 'jumping push-up , and 'head stand'. Vikas tried and impress judges who acknowledged that 'Vikas mein jaan hai'. Vikas is an agile guy without muscle. Vikas belongs to Scheduled Caste as per Indian Caste system, thus he thinks that caste system in India separates him from other people of society. Roadies X contestant Vikas Kumar good wishes for you & hope you would win Roadies X Reality Show with your strong mental & physical strength that makes you a strong Roadies X Contestant, who got selected from Delhi in the 2013 Battle for Glory Roadies-X Season. Profile Biodata Biography Ramandeep MTV Roadies-X Contestant Candidate Delhi Audition Roadies-X 2013 Selected Candidate Ramandeep personal professional educational life MTV Roadies-X Contestant Candidate Participant Ramandeep Roadies Family (Father, Mother, Brother, Sister, Boyfriend), MTV Roadies-X Delhi Audition Selected Candidate Ramandeep Qualification Passion Occupation Achievements, MTV Roadies-X Delhi Audition Ramandeep details mobile phone contact number address strengths weakness Ramandeep Roadies-X 2013 Contestant Candidate from Delhi Audition MTV Roadies-X Roadie Ramandeep. Ramandeep, one of the five Roadies selected from Delhi Audition of MTV Roadies-X, is a crazy girl who thinks herself a psycho. Ramandeep has impressed Roadies X Judges & got selected amongst the other Delhi Contestants during Roadies-X Audition (2013). • Name of Roadies-X Delhi Candidate: - Ramandeep. • Address of Ramandeep Roadies-X Contestant: - Ramandeep had born & brought up at Jalandhar and now living at Delhi for study purpose. • Mobile Phone Contact Number of Ramandeep Roadies-X Candidate: - not published due to security reasons. • Family Background of Roadies-X Ramandeep: - MTV Roadies-X Delhi Candidate Ramandeep is living with her father, mother and one younger brother. • Occupation / Professional Life of Ramandeep MTV Roadies: - Ramandeep is a student. • Marital Status of Ramandeep Roadies-X Contestant: - Single. 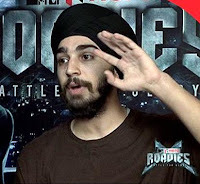 • Ramandeep MTV Roadies X Audition Video Watch Online: - Watch the Delhi Audition of Ramandeep, who have been selected as a Roadie from Delhi 2013 Roadies X Audition. • Ramandeep MTV Roadies-X Delhi Audition Interview: - 'Main Pagal si hoon' - that's what Ramandeep said at the start of her Personal Interview in front Raghu & Rannvijay. Crazy Ramandeep has hurt herself many times due to a strained relationship with her parents. She is hungry for love from her parents. Due to loneliness, she speaks with herself & hurts whenever she feels bad. Ramandeep looks like Kangna Ranawat but she don't want to be duplicate thus she hate herself for looking like Kangna. She claims she is confused & psycho and friends of her used to call her 'psycho' although she has only few friends. Jalandhar born Ramandeep stays at Delhi for her study purpose and feels good at Delhi because of freedom from her parents. Ramandeep has mentioned few strange lines in her roadies-x audition registration form like 'Rannvijay is too sweet & would cause diabetes', 'I would love to get slap from Raghu' etc. She doesn't able to express her feelings to the people who meant world for her. Psycho Ramandeep hurt herself when she was in Class-8th and continuously doing it till shifted to Jalandhar. Raghu & Rannvijay finally selected Ramandeep in Roadies-X Rannvijay team. Roadies X contestant Ramandeep good wishes for you & hope you would win Roadies X Reality Show with your psycho personality that makes you different from all other Roadies X Contestants, who got selected from Delhi in the 2013 Battle for Glory Roadies-X Season. Hyderabad MTV Roadies X Audition Online Hyderabad Selected Candidates Contestants MTV Roadies-X Hyderabad Audition Judges Anchor Host Moderators Venue Place Location Hyderabad Roadies-X 2013 Audition Date Time Online Contestants Participants MTV Roadies X Hyderabad Selected Roadies Hyderabad Candidates selected MTV Roadies-X Audition Hyderabad Online Video Hero Honda MTV Roadies-X Selected Candidates Hyderabad Audition names, Watch uncut episode of 2013 Roadies X Hyderabad Audition online live. Thousands of aspiring Roadies came with the hope of getting selected in 2013 Roadies X Audition at Hyderabad; but only one candidate got selected as Roadies from 2013 Roadies X Hyderabad Audition. Roadies X (Battle for Glory) 2013 Season is different from the other roadies. The format of Roadies X already discussed with you earlier and we all know there will be two teams in 2013 Roadies X Season. To select members for Rannvijay team; the auditions actually took place. 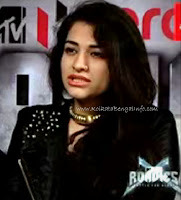 MTV VJ Bani hosted the Roadies X Hyderabad Audition 2013 Show and we have seen contestants cutting their hands with blade, fighting with each other, offering money to get noticed & selected during Group Discussion of Hyderabad 2013 Roadies X (10) audition. • MTV Roadies-X Hyderabad Audition Telecast Date: - 2nd February 2013 (Saturday). • Hyderabad Audition MTV Roadies-X Telecast Timings: - MTV Roadies-X Reality Show starts at 7pm in the evening on every Saturdays. • MTV Roadies-X Hyderabad Audition Judges: - Raghu and Rannvijay. • MTV Roadies X Hyderabad Audition Anchor Host: - VJ Bani, who is also an ex-Roadie & a successful model & MTV VJ. • 2013 Hero Honda MTV Roadies X Hyderabad Audition Group Discussion Round Moderators: - Ankur, Sid, Harman, Gaiti, Umashankar, Gaurav, Susan, Filmy Zoro, Romance Rambo and many other crew members of MTV Roadies-X does the tough job of selection in Group Discussion round. Sherry – Real / original name Abhishek Soni is from Ujjain and a Transsexual (male to female). During the audition Sherry informed that he was raped by two guys when he was only 8 years of age. He was sexually abused by boys every now & then. Thus from his childhood he prefer girls to play with. Sherry loves watching super hero movies & adventurous movies. Sherry said that he is now living like a female [lesbian]. But during the audition Raghu & Rannvijay discovered something different about him/her. Sherry earlier said that he didn't like beard coming on his face, but he didn’t waxed his hands or legs like a girl. Anyways, he/she not got selected. Fatima Yawrani – Fatima wants to become an Air Hostess but his parent wants her to become a Ground Staff. She scares of spiders, thus Raghu tried intimating her with a spider during audition. Fatima follows the attitude of ‘Go Get It, by hook or crook’. But she failed to impress judges. Aniket – Aniket is coming for auditions since Roadies-2 season but failed to get selected every time. Last 9 year, Aniket tried his luck and even his girl friend also tried. 30 years old Aniket isn’t expressive enough but a bit emotional. He gets a ‘Roadie Salute’ from Raghu & Rannvijay along with respect. • Selected Candidates MTV Roadies-X Hyderabad Audition: - Gaurav Singh is the lucky candidate (contestant), who got selected for MTV Roadies-X Reality Show from Hyderabad Audition , amongst thousands of competitor of Roadies-X 2013 Hyderabad Audition and ready to give tough competition in MTV Roadies-X in 2013. Congratulations to Gaurav Singh for becoming the Roadies from Hyderabad in MTV Roadies-X (Battle for Glory) season in 2013. Are you looking for the ex-Roadie names of Raghu's Team in 2013 Roadies-X? Do you want to know who are in the team of Raghu in Roadies 10 and going to Battle for Glory with Rannvijay's Team? We have already informed you about the unique concept of Roadies X 2013 which is going to be a battle between Creator & Creation. MTV Roadies 10 (2013) audition is going on for selecting members of Rannvijay team. But, the team of Raghu will be of ex-Roadies who have already participated in Roadies Show and have experience to overcome toughest situations. So many Roadies are there because MTV Roadies had completed its 9th year. Thus, it's difficult to tell final 8 ex-Roadie names for Team Raghu in Roadies 10 (2013). But, 8 ex-Roadies will be selected from the below mentioned 16 ex-Roadies. 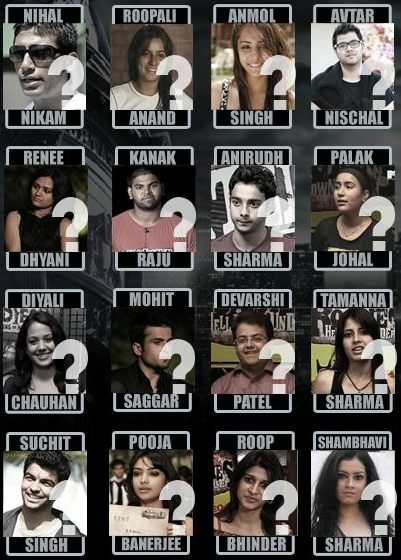 Here is the list of 16 Ex-Roadies and only 8 of them will be in Raghu's Team to compete against Rannvijay's Team. Eight of these sixteen Ex-Roadies will be in Roadies X Raghu Team - Nihal Nikam, Roopali Anand, Anmol Singh, Avtar Nischal, Renee Dhyani, Kanak Raju, Anirudh Sharma, Palak Johal, Suchit Singh, Pooja Banerjee, Roop Bhinder, Shambhavi Sharma, Diyali Chauhan, Mohit Saggar, Devarshi Patel, Tamanna Sharma. Please check final 8 ex-Roadie names of Raghu's Team in 2013 Roadies-X. Chandigarh MTV Roadies X Audition Online Chandigarh Selected Candidates Contestants MTV Roadies-X Chandigarh Audition Judges Anchor Host Moderators Venue Place Location Chandigarh Roadies-X 2013 Audition Date Time Online Contestants Participants MTV Roadies X Chandigarh Selected Roadies Chandigarh Candidates selected MTV Roadies-X Audition Chandigarh Online Video Hero Honda MTV Roadies-X Selected Candidates Chandigarh Audition names, Watch uncut episode of 2013 Roadies X Chandigarh Audition online live. Thousands of aspiring Roadies came with the hope of getting selected in 2013 Roadies X Audition at Chandigarh; but only one candidate got selected as Roadies from 2013 Roadies X Chandigarh Audition. 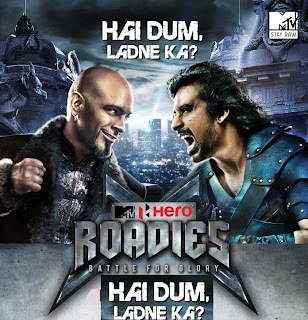 Roadies X (Battle for Glory) 2013 Season is different from the other roadies. The format of Roadies X already discussed with you earlier and we all know there will be two teams in 2013 Roadies X Season. To select members for Rannvijay team; the auditions actually took place. MTV VJ & ex Roadie Bani hosted the Roadies X Chandigarh Audition 2013 Show and we have seen many contestants with different mentality during Personal Interview round. • MTV Roadies-X Chandigarh Audition Telecast Date: - 26th January 2013 (Saturday). • Chandigarh Audition MTV Roadies-X Telecast Timings: - MTV Roadies-X Reality Show starts at 7pm in the evening on every Saturdays. • MTV Roadies-X Chandigarh Audition Judges: - Raghu and Rannvijay. • MTV Roadies X Chandigarh Audition Anchor Host: - VJ Bani, who is also an ex-Roadie & a successful model & MTV VJ. • 2013 Hero Honda MTV Roadies X Chandigarh Audition Group Discussion Round Moderators: - Ankur, Sid, Harman, Gaiti, Umashankar, Gaurav, Susan, Filmy Zoro, Romance Rambo and many other crew members of MTV Roadies-X does the tough job of selection in Group Discussion round. Pradeep Arora – A contestant who offered 10 lacs to become a Roadie. Raghu unable to retain his cool and gets angry after reading the Form mentioning 10 lakh offer. He said he wants to get attention & that’s why he wrote such things. Then bouncers came and took Pradeep outside of PI Room. Akash Gupta – Akash Gupta is from Jhansi and watching Roadies when he was in Class-7th standard. He went to Pune Audition in 2013 but failed to reach PI Room. In Chandigarh he able to reach PI Round. Akash Gupta is a very emotional person but sweet in nature. Gargi Mishra – A fun loving 23 years old girl who got married in 2010 with a 30 years old guy. She is now separated and having no support from her parents. This Kanpur born woman Gargi is now completing her studies and also doing part-time job. She wants to become an IAS officer. Kuber Dutta – Kuber Dutta asked to dance and he danced on ‘Chikni Chameli’ song. After that while interviewing Raghu showed a thing that he threw outside before entering checking room in the premises of audition. A thing that not allowed carrying, then he said ‘Gundey ki baap hoon’. Raghu got angry then & bouncers took him outside. Adventure – A girl whose face was blurred reveals her personal life situations. Thakur Dushyant Singh Raghubanshi – A player who is very short tempered. Dushyant wants to become an Army Officer. • Selected Candidates MTV Roadies-X Chandigarh Audition: - Geetika Buddhiraja is the lucky candidate (contestant), who got selected for MTV Roadies-X Reality Show from Chandigarh Audition , amongst thousands of competitor of Roadies-X 2013 Chandigarh Audition and ready to give tough competition in MTV Roadies-X in 2013. Congratulations to Geetika Buddhiraja for becoming the Roadies from Chandigarh in MTV Roadies-X (Battle for Glory) season in 2013. Profile Biodata Biography Geetika Budhiraja MTV Roadies-X Contestant Candidate Chandigarh Audition Roadies-X 2013 Selected Candidate Geetika Budhiraja personal professional educational life MTV Roadies-X Contestant Candidate Participant Geetika Budhiraja Roadies Family (Father, Mother, Brother, Sister, Boyfriend), MTV Roadies-X Chandigarh Audition Selected Candidate Geetika Budhiraja Qualification Passion Occupation Achievements, MTV Roadies-X Chandigarh Audition Geetika Budhiraja details mobile phone contact number address strengths weakness Geetika Budhiraja Roadies-X 2013 Contestant Candidate from Chandigarh Audition MTV Roadies-X Roadie Geetika Budhiraja. Geetika Budhiraja [Gitika Buddhiraja], one & only Roadies selected from Chandigarh Audition of MTV Roadies-X, is a very sweet girl with intelligence & very much passionate about Roadies. Roadie Geetika Budhiraja reached the Personal Interview Round at Delhi last year in 2012 [Roadies 9] but not got selected due to minimum age requirement criteria. • Name of Roadies-X Chandigarh Candidate: - Geetika Budhiraja [Gitika Buddhiraja]. • Mobile Phone Contact Number of Geetika Budhiraja Roadies-X Candidate: - not published due to security reasons. • Family Background of Roadies-X Geetika Budhiraja: - MTV Roadies-X Chandigarh Candidate Geetika Budhiraja is living with his father, mother and siblings. • Occupation / Professional Life of Geetika Budhiraja MTV Roadies: - Geetika Budhiraja is a law student. • Age of Geetika Budhiraja Roadies-10 Contestant: - 18 years of age as on 2013. • Marital Status of Geetika Budhiraja Roadies-X Contestant: - Single. • Favorites Hobbies of Geetika Budhiraja Roadies-X Participant: - Roadie Geetika Budhiraja loves dancing. Watch the Chandigarh Audition of Geetika Budhiraja, who have been selected as a Roadie from Chandigarh 2013 Roadies X Audition. • Geetika Budhiraja MTV Roadies-X Chandigarh Audition Interview: - Geetika Buddhiraja is back after one year. In the year 2012 Geetika had appeared in Roadies 9 Delhi Audition & reached P.I. Room too. At that time, she was 17+ years of age and only 4-days younger to become 18 years. Raghu, Rajeev & Rannvijay didn't select her because she was not 18 years and not enough mature then. But this year, Geetika Buddhiraja came back to Roadies X Chandigarh Audition 2013 and reached to Personal Interview round to face Raghu & Rannvijay. Geetika Buddhiraja has done internship in criminal law and studying law now. Raghu asked her to kiss a crew member & she backed out – it’s to check how she reacts. Geetika mentioned in her form that she won’t do anything that will make ‘losing her self-respect’ – this is why Raghu tried to check what reaction she gives when she asked to kiss during audition which may cause losing her self-respect. Raghu tried to provoke her by saying ‘spark is gone’, ‘from idealist became defeatist’, 'immaturity remains’ etc but Geetika tried to say her point that she is confident & capable enough to compete with anyone. Raghu & Rannvijay liked Geetika’s ‘never say die’ attitude, determination & confident. Roadies X contestant Geetika Buddhiraja good wishes for you & hope you would win Roadies X Reality Show with your confidence, beauty & intelligence that makes you a strong Roadies X Contestant, who got selected from Chandigarh in the 2013 Battle for Glory Roadies-X Season. Profile Biodata Biography Jahid MTV Roadies-X Contestant Candidate Pune Audition Roadies-X 2013 Selected Candidate Jahid personal professional educational life MTV Roadies-X Contestant Candidate Participant Jahid Roadies Family (Father, Mother, Brother, Sister, Boyfriend), MTV Roadies-X Pune Audition Selected Candidate Jahid Qualification Passion Occupation Achievements, MTV Roadies-X Pune Audition Jahid details mobile phone contact number address plans strengths weakness Jahid Roadies-X 2013 Contestant Candidate from Pune Audition MTV Roadies-X Roadie Jahid. Jahid, one & only Roadies selected from Pune Audition of MTV Roadies-X, is a guy with strong mental & physical strength in spite of losing his left leg in a road accident. Roadie Jahid has the tough mentality & does activities requiring physical strength. Jahid has impressed Roadies X Judges & got selected amongst the other Pune Contestants during Roadies-X Audition (2013). • Name of Roadies-X Pune Candidate: - Jahid Kalim. 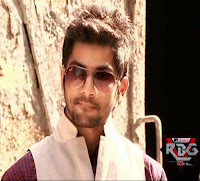 • Address of Jahid Roadies-X Contestant: - Jahid had born in Bihar state and now lives in Banaras of UP district. • Mobile Phone Contact Number of Jahid Roadies-X Candidate: - not published due to security reasons. • Family Background of Roadies-X Jahid: - MTV Roadies-X Pune Candidate Jahid is living with his father, mother and siblings. • Occupation / Professional Life of Jahid MTV Roadies: - Jahid has a knack of acting in Theatres & Films. He has done few negative roles (villains) in Bhojpuri Cinemas. • Marital Status of Jahid Roadies-X Contestant: - Single. • Favorites Hobbies of Jahid Roadies-X Participant: - Roadie Jahid loves active games like Cricket, Vollyball, Gulli Danda, etc. Jahid also has the passion towards acting. • Jahid MTV Roadies X Audition Video Watch Online: - Watch the Pune Audition of Jahid, who have been selected as a Roadie from Pune 2013 Roadies X Audition. • Jahid MTV Roadies-X Pune Audition Interview: - Jahid speaks his heart out in front of the Roadies X Judges (Raghu & Rannvijay) during 2013 Pune Audition of Roadies-X (Battle for Glory). Jahid looked confident when he entered the Personal Interview room. During the interview process, Jahid said how he lost his left leg. It was a road accident happened on 2nd October 1989 at Sivrajpur. Jahid was then only 4/5 years of age and was admitted at Lala Lajpat Roy Hospital where doctors saved his life but by losing one leg. Jahid agrees with the fact that he is a handicap person but he strongly believes that he is not a Disable person. So, he used to do every physical activities. Jahid also acknowledged that his friends are helpful & always stood beside him throughout his life. Since, Jahid does every physical activity in his life; thus Raghu asked him to do few physical tasks. At first Jahid did spot kicks and gets ‘Roadies Salute’ from both Raghu & Rannvijay. Jahid has also done 25 Push-ups during the audition. While speaking about himself, Jahid informed that he want to become an actor and tried in Bhojpuri Films in ‘villain’ role. While Raghu asked Jahid to show his acting skill then he presented a dialogue from a Bhojpuri film. What to say? Both Raghu & Rannvijay impressed with Jahid’s capabilities and selected him as Roadies X Contestant. Roadies X contestant Jahid good wishes for you & hope you would win Roadies X Reality Show with your strong mental & physical strength that makes you a strong Roadies X Contestant from Pune in the 2013 Battle for Glory Roadies-X Season.